Senior portraits are our absolute favorite and we hope your session with us will become one of your favorite senior year memories!. We give each and every senior portrait session the absolute attention it deserves and customize the experience so your true personality shines through in your finished artwork. For our high school senior portrait sessions, there are no limits on poses and we work as a team to capture truly stunning art that you will cherish forever. This session can also be shared with a friend! We have no location fees or required minimum orders. Please click HERE to see a sample high school senior portrait gallery, which will be just like the one you will receive (2) days after your own photo session. 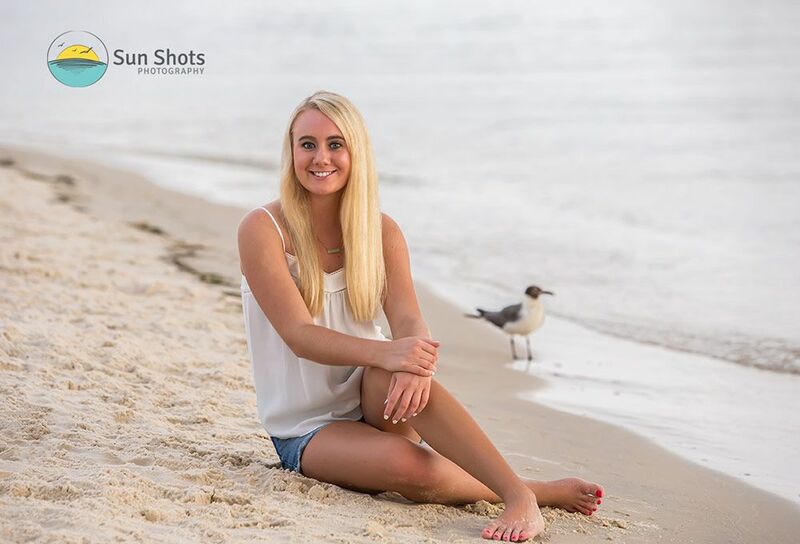 We offer both sunrise and sunset sessions for high school senior portraits but do highly recommend the sunrise session because of the lack of people on the beach and the softer lighting conditions that yields better results that seniors love! All images in your gallery will receive standard image edits for color correctness and tone. Every image that is ordered via your gallery will receive a complete photoshop edit. If you order the deluxe digital download photo package, photoshop edits are not included. Our senior beach portrait sessions are for an hour. We work as a team to capture as many poses as time allows. We utilize professional studio strobes and the images we will present to you will be absolutely stunning. There is not a set number of images that will be in your gallery and we will work as hard as we can to capture as many images as possible. You are welcome to bring outfit changes, just let us know beforehand so we can help guide you in the right direction. You can also check out a full senior photography session by watching this video below!